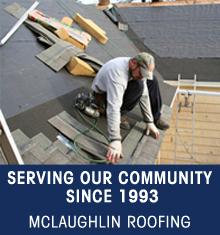 McLaughlin Roofing has been serving the Lawrence and Topeka, KS communities since 1993. We offer quality residential and commercial tear off and reroof services at reasonable rates. Our team is committed to providing the best possible solutions for all your roofing problems. You can count on us to provide you with great services that meet your unique needs. Having a properly installed, quality roof can save you tons on energy costs. Make sure that when you choose a roofing contractor you are choosing McLaughlin Roofing. You get nothing but the best when you call our top-notch staff. We are licensed and insured for your own protection. 5-year workmanship guarantee available. 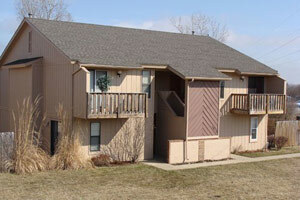 Call McLaughlin Roofing at 785-764-9582 for all your roofing needs. McLaughlin Roofing provides roofing and roof construction to Lawrence, Topeka, Kansas City, Baldwin City, Emporia, Junction City and Overland Park, KS as well as the surrounding areas.